You don’t have to choose between helping the planet and helping your pocketbook. 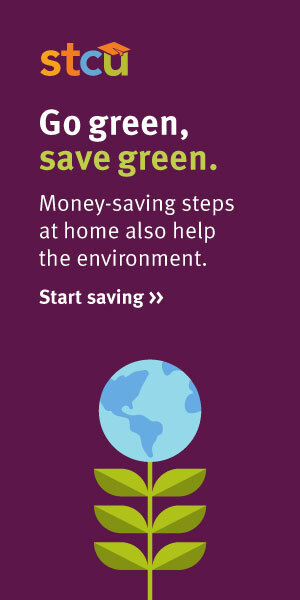 Here are a few ways to protect the environment while you save some green. Get smart about heating. Technology can help you turn down the heat when you’re not home. Smart thermostats learn your routines, so you don’t have to do the programming, said Chris Drake, the energy efficiency manager at Avista. The energy company offers rebates on many models, reducing your upfront cost. Turn it off. The light as you leave a room, of course, but other things, too. Like the TV no one’s watching or the printer no one’s using. Smart power strips automatically turn off electronics to save energy. Increase efficiency.> When it’s time to replace something in your house, whether it’s the furnace or a light bulb, look for a more efficient model to cut energy use and costs. If you haven’t switched to LED bulbs, it’s time. Check for rebates to help defray the cost. Cut back on watering. Many people overwater their lawns, Updegrove said, which can strain the region’s aquifer. Many also use too much fertilizer, and the excess gets washed away. That’s money down the drain, and the chemicals can travel to rivers and lakes and harm aquatic life, Updegrove said. Find more tips on STCU’s financial education blog at stcu.org. Published: April 5, 2019, 4:06 p.m. Updated: May 1, 2019, 2:06 a.m.